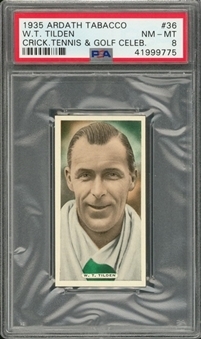 The complete set of 50 cards is presented. 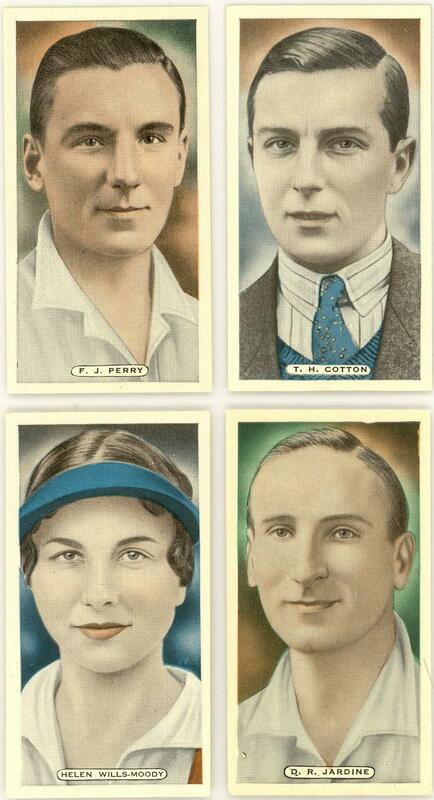 These colorful portrait cards from the U.K. focus on well-known stars from just three sports: Cricket, Tennis and Golf. 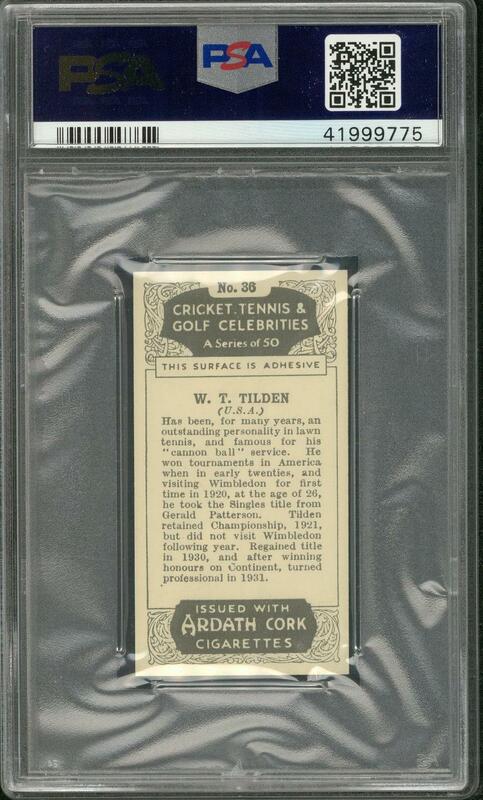 Highlights include: #'s 31 F.J. Perry, 36 Bill Tilden (PSA NM-MT 8), 42 Helen Wills-Moody, 44 T.H. Cotton and 46 Abe Mitchell. 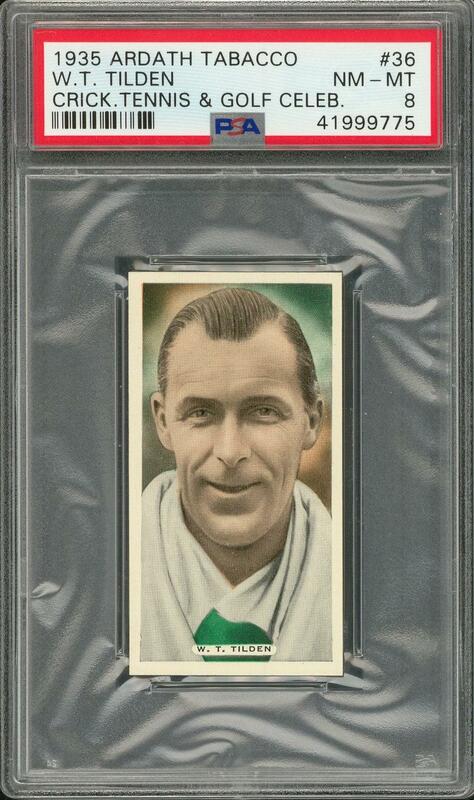 Overall condition is EX/MT to NM with a few nicer and a few lesser.